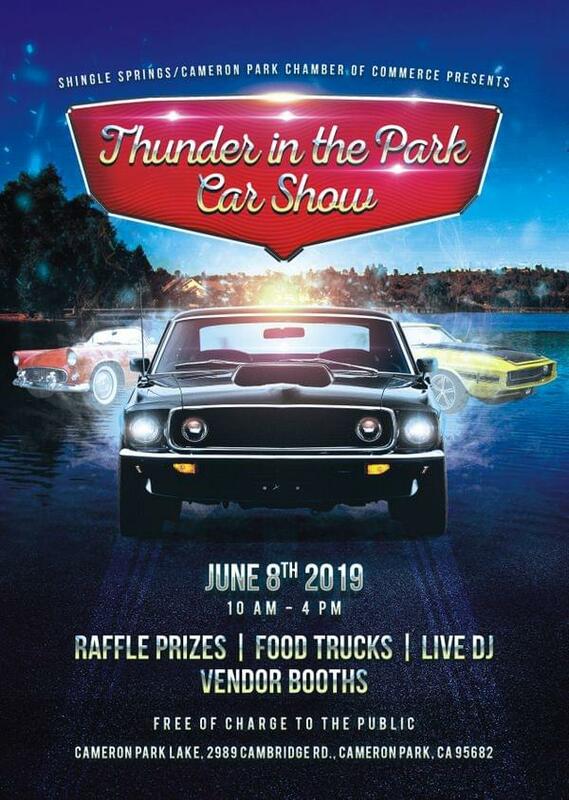 Shingle Springs/Cameron Park Chamber of Commerce presents "Thunder In The Park Classic Car Show". Located in a great setting at beautiful Cameron Park Lake. Come see these amazing Pre-1973 vehicles and meet their owners! Raffle prizes, food trucks and vendors will also be there. Lots of fun for the whole family! Click on the link below to register.